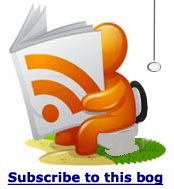 I've been reading a lot of nonsense recently about how to sell successfully on ebay. In the past I used to work for ebay, and by that I mean that selling stuff on ebay clearly makes you an employee of ebay whether you want to be or not. If you want to make your income solely by using ebay you can. I used to and I'm rubbish at earning an income. If you want to make money you will have to have a good product in a niche market that you can sell at a good profit. You will also have to be your own packaging and delivery service, accountant, marketing man, photographer, complaints department, have a good knowledge of your products, know a little html and be able to pay everyone on time. Of course you can use the many services offered to ease your work load and maximise your profits, but they will all cost you money. ebay is a competitive market place so you have to be very aware of your profit margins as these services will eat up more of your profits. TLDR; Yes, you can make money with ebay but it's a lot of work! 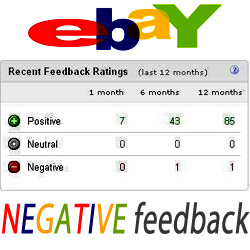 There are plenty of good people buying on ebay and plenty of good sellers, but during my time on ebay I used to enjoy reading the negative comments left for sellers. At one time sellers were also allowed to leave negative feedback for their buyers and this made for a much more lively feedback page with the advantage of discouraging scammers who do exist on both the buying and selling sides of the war known as retail. These are the top 5 negative feedbacks I saw published. 5. NEGATIVE: Buying this Space 1999 Lunchbox did not fill the void in my empty life for as long as I’d hoped. 4. NEGATIVE: Though you did nothing wrong, I am giving you this negative feedback to teach you that the universe is arbitrary and unfair. 3. NEGATIVE: Product didn’t work, possibly broken. I woke up this morning and was disappointed to find I still believe in Jesus Christ our Savior. 2. NEGATIVE: Item shipped promptly and in good condition, but I should not have to bid on birthday presents from my parents. 1. NEGATIVE: The most unpleasant, unprofessional psychopath have ever encountered. Run! OK, these are pretty good (bad) feedback's but there is a point to this. People want to give their opinion on how an ebay sale went and then publish it on your feedback page. Most people are fair and will give a reasonable feedback to you, but there will always be a few who just seem to want to moan and as a seller you cant leave a negative feedback in response to an unfair complaint because ebay just says you cant, OK.
Ebay is a very difficult marketplace. Some customers buy the wrong item or may want but not pay for, the higher end. Some customers are unwilling to pay fair price for product and your time. Some customers leave negative feedback if your item doesn't meet their expectations. (without contacting you first). Some customers leave negative feedback if your item doesn't ship fast..[yet they pay cash or check in the mail,and do not allow time for receipt or they pick media mail shipment. As a seller, do you have any recourse? You do, but it’s not easy. The best strategy is to avoid negative feedback in the first place. But if that’s not possible, turn to a mediation service like Square Trade or try and deal with the slumbering leviathan that is ebay itself. 1. As a seller never leave feedback first. 3. Block Buyer/Prospect from bidding at the first sign of flakiness. 4. Don’t spend a lot of time answering prospect questions for small amount items unless you want to. 5. Charge for any customizations or changes you are asked to make. 6. For the non-payers. Be polite, offer to negate the sale if small amounts and you can resell. You can however some times leave replies, I found these two but I wouldn't recommend them as a course of action. "goed product was wel even kwaad dat er nog eens 75€ bij kwam voor de duane"
Reply by world_hobby: Sorry I dont speak "Freaky Deaky Dutch"
"Good delivery package could have done with a bit more padding otherwise fine." Reply by world_hobby: Next time I will suspend it in a magnetic field for you.